Following the break-up of The Brumbeats (formerly The Plazents) at the end of 1964, lead vocalist Bobby Ash formed a new group which became known as 'The Bobby Ash Sound'. They were managed by well known local promoter Bob Smith who contracted the group to the EMI Records label. The other group members included guitarist Bob Watkins from Smethwick who had previously played with the former Diplomats vocalist Nicky James as part of a group called The Wild Cherries. Roy "Tank" Davies was also formerly with Nicky James and had played with Johnny Neal and The Starliners as well as The Wild Cherries and a group called The Woodlanders. John "Fats" Surplice from Aston had played in The Bruisers, while John "Jigger" Evans was former drummer for The Woodlanders. Bob Smith booked the Bobby Ash Sound into some of the larger venues which included ballrooms like the Majestic's and Locarno's as far north as Newcastle. It was actually Newcastle and not Birmingham where The Bobby Ash Sound first performed after several weeks of rehearsals. They also played some of the coastal resorts such as Great Yarmouth and Cromer. While this may have raised the band's profile, the members all hated the travelling so eventually decided to break with Bob Smith and had Pete Gittins taking over management with Bobby Ash handling the finances. More bookings were secured throughout the Midlands area which included a lot of working men's clubs and pubs as well as regular appearances at Birmingham's famous Rumrunner Night Club. 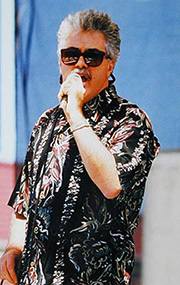 The Bobby Ash Sound developed a stage show which included impersonations of artists like Gene Pitney and Buddy Holly - all made possible by the versatile vocal talents of Bobby Ash. In late 1965, the group spent time at the Hollick & Taylor Studio in Handsworth Wood where they recorded several tracks for EMI Records. Most of the recordings featured a six-piece brass section, arranged and led by the late Ken Rattenbury, a well known Midlands trumpet player who did regular sessions for BBC Radio. One song, 'You've Got Love', originally recorded by Buddy Holly and The Crickets, was selected for possible single release. Interestingly, two of the tracks recorded; 'Your Loving Ways' and 'You Could Be Fun (At The End Of The Party)', were also covered by Carl Wayne and The Vikings for Pye Records in 1965. In 1966, Roy Davies and John Surplice left the Bobby Ash Sound. They were replaced by John Bradley (bass/vocals) from Sutton Coldfield who had been a member of Carl Fenn and The Mysteries; and saxophonist Dennis Ryland who had been in an early line-up of the Rockin' Berries. The addition of Dennis Ryland on flute and saxophone added a whole new dimension to the group's sound and created a distinctive image. The Bobby Ash Sound continued with this line-up for the next few years, working consistently and building up a loyal following in the West Midlands area. By 1968, vocalist Bobby Ash decided to "retire" from the music business and emigrated to America. His departure marked the end of the Bobby Ash Sound and the group disbanded shortly after. John Bradley joined another group, and Bob Watkins gave up music for a while but went back to it in the 1970s and today continues as a member of the "Taylor Made Band" who still perform regularly throughout the West Midlands. Meanwhile, Bobby Ash ended up joining an American group as well as hosting a radio show in Connecticut, later moving to Los Angeles where he made a record for the DOT Records label. After many more adventures, he finally went back to his real name of Graham Ashford, and worked as manager for Rolls Royce in Beverly Hills while still occasionally doing recording sessions. His natural talent as a painter and photographer led him to opening and operating a successful art gallery in Seattle. Today he lives in Hawaii and yes - still performs occasionally to this day as Bobby Ash. Thanks to Graham Ashford and Bob Watkins for the info. See the Brum Beat Features page to find out what they are doing these days.